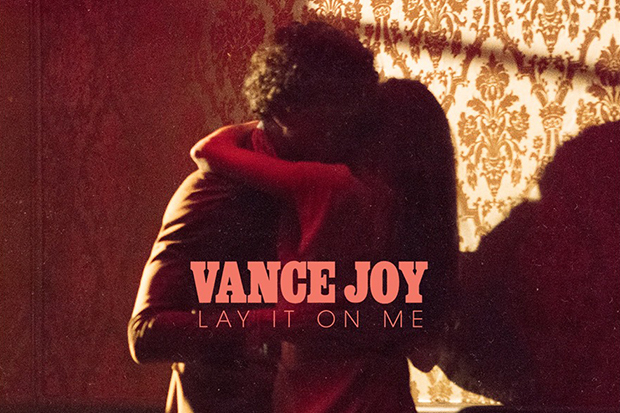 Aussie Singer Vance Joy Announces New Single "Lay It On Me"
The 29-year-old then shared the cover art, which finds him locked in an embrace with a mystery woman. It will be interesting to see if he sticks with the stripped-back, folky approach of breakthrough hit “Riptide” or broadens his sonic horizons. That simple ditty was a multi-platinum smash at home and caught fire in Europe — cracking the top 10 in Germany, Austria, Ireland and the UK. It was just as popular stateside, climbing all the way into the top 30 hit on the Billboard Hot 100. See his announcement video below. Are you excited for Vance’s return? Let us know below, or by hitting us up on Facebook and Twitter!